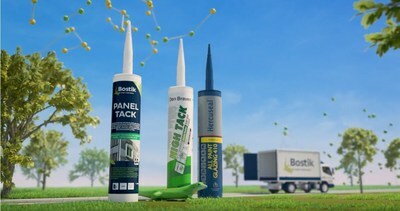 Den Braven Benelux B.V. Becomes Bostik Benelux B.V.
Bostik, a leading global adhesive specialist for consumer, construction and industrial markets, today announced that the legal company name of its acquisition, DEN BRAVEN BENELUX B.V., has changed to BOSTIK BENELUX B.V. Since the acquisition of Den Braven in 2016, a leader in high performance sealants for insulation and construction, both organizations joined forces to strengthen Bostik as a powerful global player in adhesives and sealants. The change of the legal company name is one of the final integration steps. Consequently, all corporate branding at its Oosterhout and Giessen sites will be replaced with the Bostik visual identity. 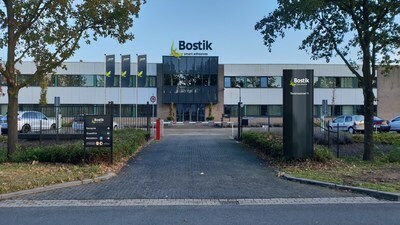 Roland Albers, Senior Vice President of Bostik's Construction and Consumer Global Business Unit in EMEA, commented, "This change will allow us to reinforce the meaning behind the Bostik brand and help us in building a common culture based on generating more value for our customers." Vincent Imbos, Managing Director of Bostik Benelux B.V., added, "We are delighted to be part of Bostik and will continue to follow our brand strategy by marketing Zwaluw-branded products alongside the Bostik range. In addition, our knowledge and service capabilities will be further enhanced to provide our customers with even more innovative solutions and high quality service." To serve what is a strategic geographic market for Bostik in Europe, a single commercial organisation will now be established in the Benelux region which will focus on the marketing and commercialisation of the combined Bostik and Den Braven product portfolio. Bostik is a leading global adhesive specialist in construction, consumer and industrial markets. For more than a century, it has been developing innovative adhesive solutions that are smarter and more adaptive to the forces that shape daily lives. From cradle to grave, from home to office, Bostik's smart adhesives can be found everywhere. With annual sales of €2 billion, the company employees 6,000 people and has a presence in more than 50 countries. For the latest information, visit https://www.bostik.com/.